Penetrate executive suite with new product promotion. Producing a response of 6.35% – Beechcraft’s direct mail program invited CEO’s to compare apples to apples (business jets to business jets). 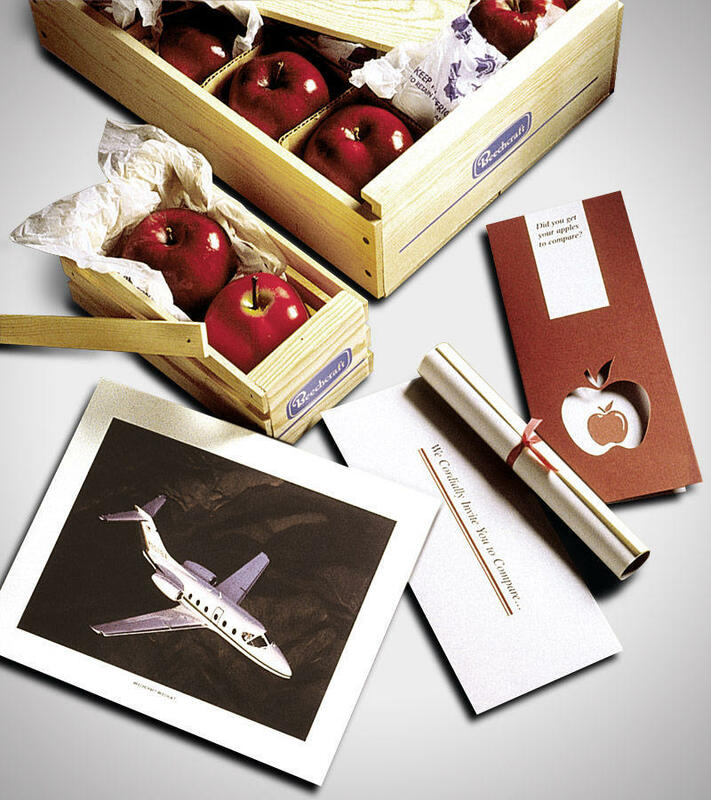 A dimensional mailer containing the invitation and special promotional offer, a gourmet apple and its plastic counterpart functioned as the “door opener.” Respondents to the invitation received an incentive case of gourmet apples upon meeting with a Beechcraft representative. The program’s performance goal was a single aircraft sale over a year’s time. Within six months, this campaign produced three orders for new jets.